Erected by George C. MCMILLAN in memory of his son Hugh BARCLAY who died 2nd Feb 1893 aged 4 and a half years. 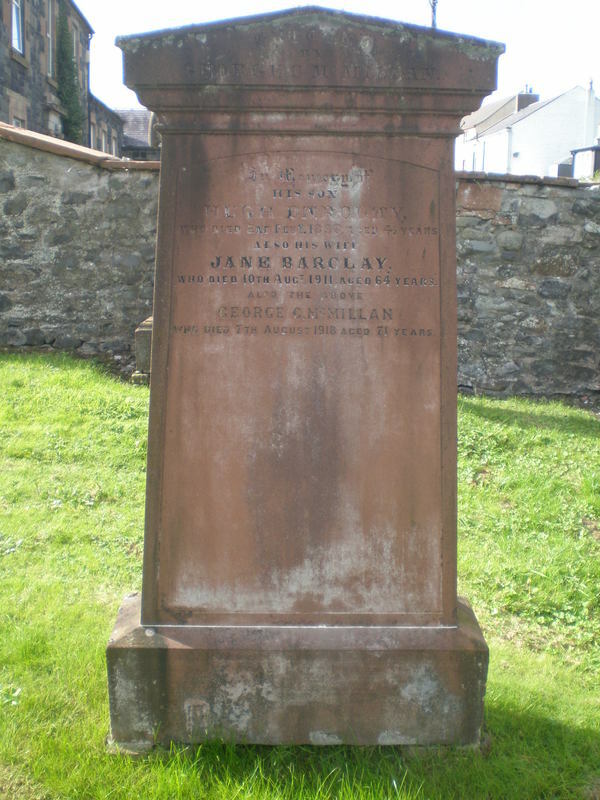 Also his wife Jane BARCLAY who died 10th August 1911 aged 64 years. Also the above George C. MCMILLAN who died 7th August 1918 aged 71 years. GC, “Kirkyard gravestone 6,” Carsphairn Archive, accessed April 20, 2019, http://carsphairn.org/CarsphairnArchive/items/show/112.